Are you a Life Coach, NLP Practitioner or Therapist looking to step-up your skills using a new innovative coaching technique? I introduced wingwave® into my coaching practice over 5 years ago and I still find the technique mind-blowing! 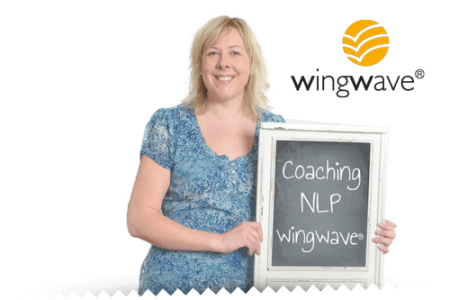 Wingwave® is an advanced coaching technique which I now use as my preferred primary change tool for breakthrough coaching with my clients. Wingwave is an effective process which will complement pretty much any method you may already be using as part of your client work. If you love to make a big difference in your practice and want to up-level your coaching with an advanced breakthrough technique, wingwave could be for you. Wingwave is an effective, yet gentle coaching method which works by dissolving emotional stress for uplifting results in just a few (1-3) sessions. wingwave® Coaching has been scientifically researched at both the University of Hamburg and University of Cologne and is a big success internationally, particularly in Germany, Switzerland, Spain and Mexico. The success is as a result of precise navigation into underlying stress triggers which most conventional techniques cannot reach. Wingwave continues to amaze all who experience it, and the results are very quick and tangible so it won’t be long before your clients are recommending you to their friends, family and colleagues! Because the technique is so effective, wingwave is used in many big international companies for staff development such as Volkswagen, Bosch and Colegate. Bilateral Hemisphere Stimulation – Gently enforced REM (Rapid Eye Movement) naturally stimulating auditory, kinaesthetic and visual through a series of back and forth movements. 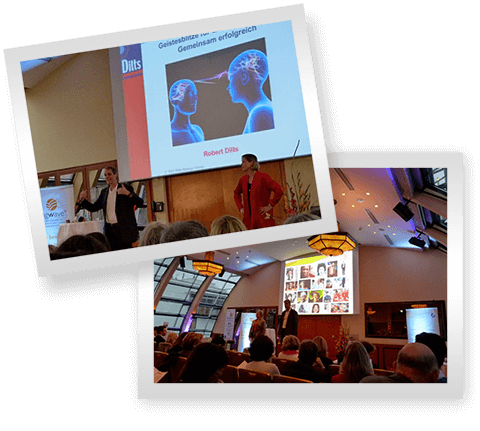 Neuro-Linguistic Coaching – Use of questioning techniques, statements and “buzz words” to enhance sensory experience and navigation. The myostatik test is used by the coach to short-cut into the exact point of stressful patterns, triggers and blocks. The thumb and finger are gently squeezed together and the coach is able to investigate the effect that certain words and statements have on the body. The accuracy of the muscle test has been tested and proved effective by a series of research projects in Universities. How do I train in wingwave® coaching? In order to train as a wingwave® Coach there is some eligibility criteria due to it’s fairly comprehensive nature. You need to have achieved at least 120 hours working with people/clients on either a one to one basis, or within a training/executive environment. Knowledge in the subject of psychology or NLP is beneficial but not essential. If you would like to experience a demonstration on the powerful effects of wingwave®, please do get in touch as I offer free face to face demos and like to connect with other like minded professionals. If you enjoy being ahead of the game in your business or practice, knowing that your clients and/or staff are feeling at their best for peak performance, now is a great time to become a wingwave® Coach. You can prosper in the gentle natural growth and be an integral part of it’s success here in the UK. When you train as a wingwave® Coach you automatically become a member of the wingwave® Coach Quality Circle and your name is listed on the Coach Finder section on the international wingwave® website. You can also attend (by choice) the annual conference each year in Hamburg, Germany. This is a great opportunity to enhance your continued professional development and also network with other international wingwave® coaches. There are no further or hidden costs once you train and you can attend any further trainings for free! If you are bilingual, you may want to go to another country and experience wingwave in another language. There are many multilingual wingwave® Coaches which is what makes the community so diverse and interesting. wingwave® is used successfully in corporates across the world. A list of companies and businesses where wingwave® Coaching is used internationally can be found here. Due to the fact that wingwave® is very new here in the UK, I would be interested to speak to anyone involved in corporates where there is a desire for peak performance and breakthroughs in your business goals! More information on the diversity and press around wingwave can be found here. wingwave® in Germany is a training institute certified by the European Coaching Association (http://www.european-coaching-association.com). The wingwave® Institute and Head Office in Hamburg is the governing body for wingwave® and certified by the German TÜV (Registry Nr. 41 554, DIN EN ISO 9001) for conceptual design and implementation of psychologically sound training courses, individual coaching sessions as well as seminars and further training courses specific to the customer. The certification is globally valid and the international website is www.wingwave.com. Here you can find out more about wingwave® and see all the Trainers and Coaches of wingwave® across the world. I am pleased to now offer a 15% discount on group bookings, minimum two people for the same training dates – please get in touch to discuss! If you are interested in wingwave but would like to experience it first, please do contact me to arrange a personal demo (free).